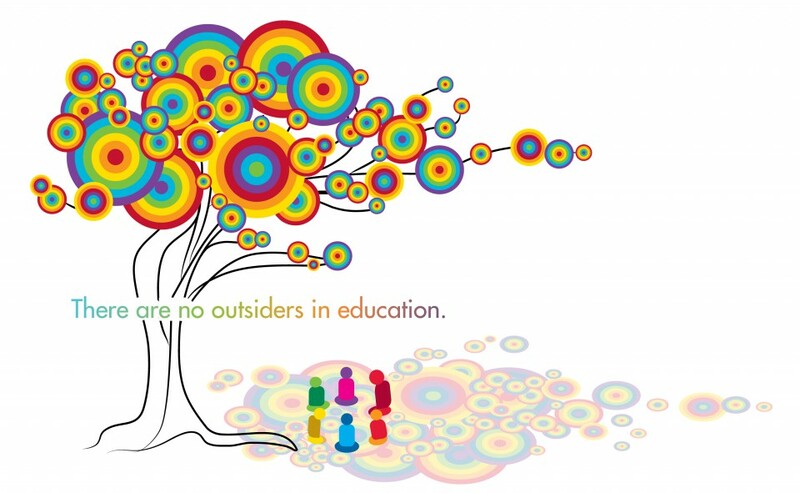 In 2011 UO College of Education graphic designer Lillian Winkler-Rios developed the thematic rainbow community gathering tree imagery for the second annual UOTeachOUT. She also created a series of inclusive schools posters. Safe schools research indicates schools with enumerated anti-bullying policies, trained staff, inclusive curriculum, and visible support for gender identity and sexual orientation minority youth improve the school climate for ALL students in Oregon schools. UOTeachOUT has trained hundreds of k-12 teachers and per-service teachers over the course of the past five years. Along with the annual UOTeachOUT events, Heffernan and Schmich offer professional development seminars and in-service seminars throughout the year. In addition they have given away hundreds of the school and classroom posters featured below. These posters offer a message of inclusion and support for all students and a culture honoring diversity.